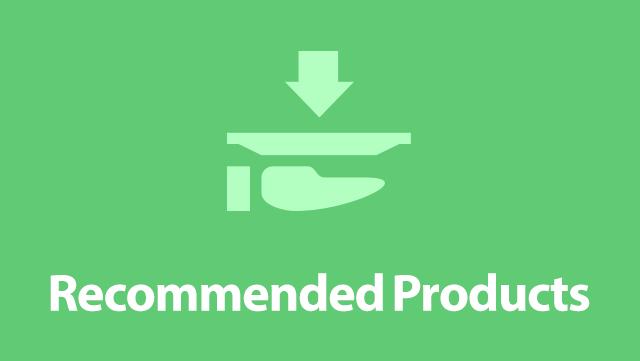 Recommended Products for Easy Digital Downloads allows you to show a cross sell of recommended products when viewing downloads or the checkout screen, with just a couple of checkboxes. These aren’t “related products” but specifically chosen products based off your stores previous sales. Every night, the recommendations are refreshed to include the day’s sales. You can manually run the update script as well via the Easy Digital Downloads Misc Settings page. Fully Templatable – Don’t like the built in templates? That’s okay, add your template to theedd_templates folder of your theme and you can style your own recommendations pod. Integrates with Easy Digital Downloads Settings – No new settings pages to learn. Just use the Settings page and click on the ‘Misc’ tab. Imports pre-existing sales – If you’ve been using Easy Digital Downloads for a while, that’s ok. Upon activation Recommended Products looks through your past sales and determines the recommendations. Restrict to only paid items – If you have free products, you can remove them from the recommendations pod in the settings. User Specific Capabilities – Supply the recommendations function with a user ID and products the user has already purchased will be removed from the recommendations. Cart Integration – If a user already has a product in the cart, it will be removed from the recommendations.